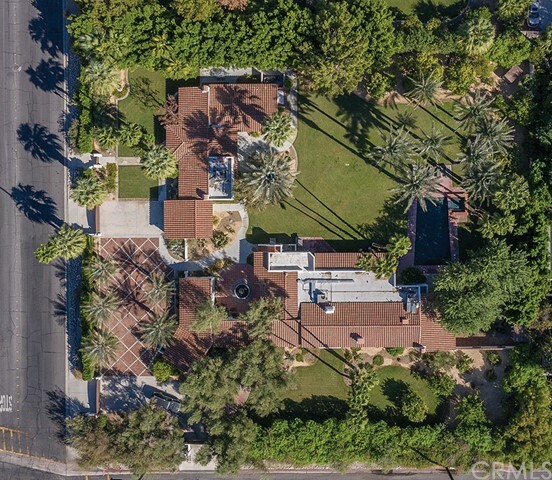 All Palm Springs homes currently listed for sale in Palm Springs as of 04/24/2019 are shown below. You can change the search criteria at any time by pressing the 'Change Search' button below. 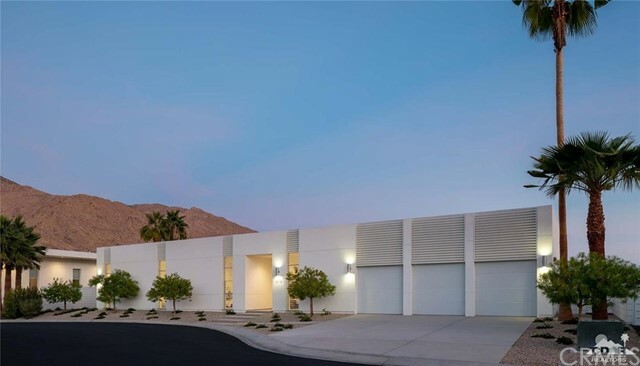 "Estee Lauder's Former Palm Spring Residence. All new & 3 years in the making of this absolutely gorgeous Smart Home Tuscan Estate. This one of a kind estate features 5200 sq. ft. 12 ft. ceilings, 4 master suites & a guest house for a total of 5 beds & 6 bathrooms. 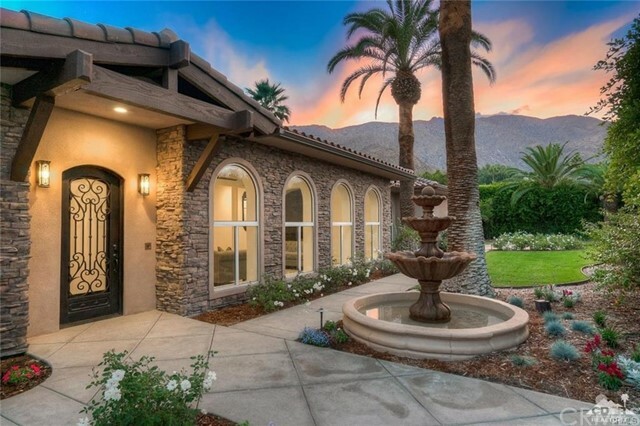 Entry has a custom Italian wrought iron door, Quartz stone floor & a Basalt Stone fountain. The living room is separated from the huge great-room by the double sided monolith style stone fireplace. The French Oak floors & the giant open feel of this space with 12' high ceilings & view through the home to the pool is impressive. The French Oak floors flows through the formal dinning room currently stage as a billiard room and into the study. The kitchen features rare Quartz counters, Wolf appliances, Bosh dishwashers, Subzero refrigerator and a 4' x 2.5' x 6' wine cellar elevator that comes up out of the floor. The master bedrooms all have custom stone showers & one even has 10 heads. The glass wall at the end of the great-room slides to one side opening up to the huge lanai & pool with waterfalls, flames at the top of one & a large spa. The back yard has a long bar complete with sink, bar-caddy, bottle shelf & under counter lights. There is also a huge BBQ & counter with a 4 burner grill, sink, refrigerators & storage. The guest house has a living room, bedroom, bathroom, its own laundry room & separate storage room & patio. There's a huge RV parking area 12' x 65' on the side behind those gorgeous custom gates."